Within the Match 3 game genre, there's definitely a name that rings a bell. You've probably seen loads of people playing in all sorts of places: on the bus, in the elevator, on the underground... even your mom might play. Yes, we're talking about the only title of surpassing FarmVille in terms of the number of users on Facebook: Candy Crush. It has been a real hit and its success is probably due to how easy it is to play on any mobile platform, whether because you've downloaded the APK to your Android or because you're playing the iPhone or iPad version. 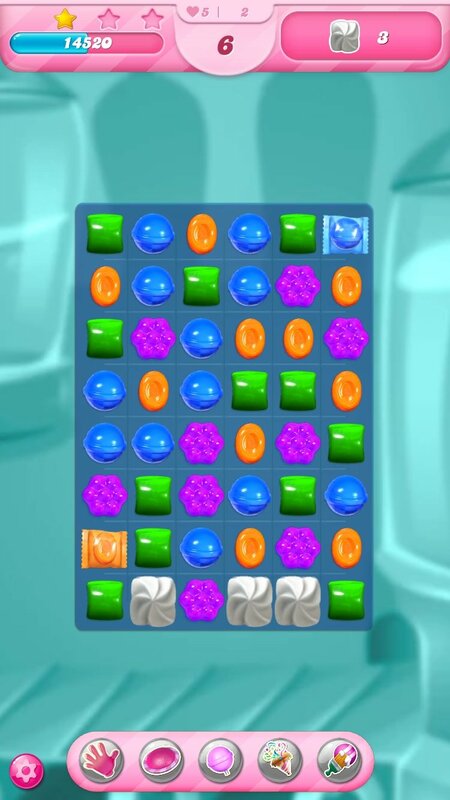 The mobile version of the game developed by King, Candy Crush Saga, is definitely one of the most addictive titles of all time. 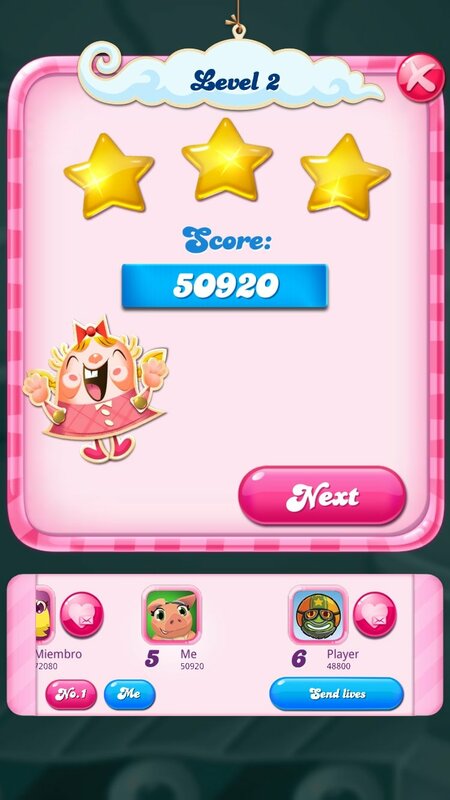 The game offers us hundreds of levels in which we'll have to help characters of the likes of Tiffi and Toffee around Candy Kingdom. You'll travel to all sorts of places in which your target will be to solve puzzles represented by panels full of sweets as indicated. That means that you'll have to match candies with others to make rows of 3 or more of them until they disappear and their place is occupied by others. A mass phenomenon: it's hard to find someone that's never played before. 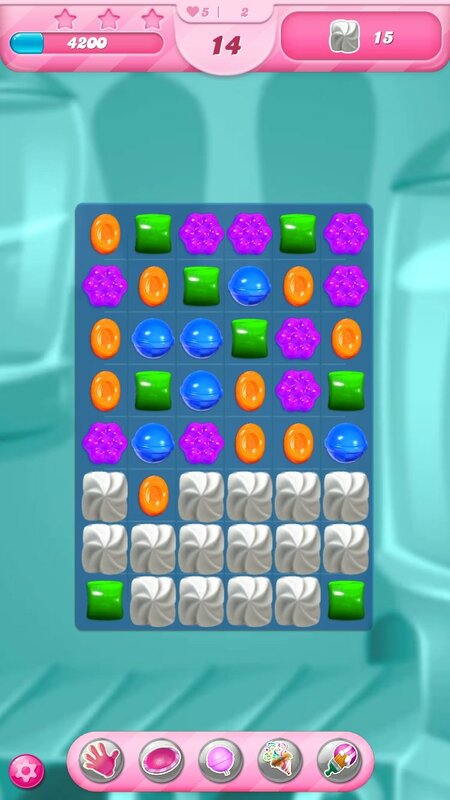 Each time you manage to remove sweets from the panel, your score will be increased depending on the number of candies you've managed to wipe out at once: if you get rid of loads or you chain several reactions, you'll receive prizes and extra bonuses that will help you out on future levels. Different game modes: Target Score, Timed Levels, Drop Down Mode and Order Mode. Collect candies and increase your sweet counter. Spin the wheel every day and win prizes. Unlock new worlds as you increase your level. Discover new environments and new characters. Hundreds of levels with new ones every week. General standings to view the scores of your friends and competitors. Synchronize your game with different devices connected to the Internet. This game has been a real success in terms of profits for its developers. The reason has to do with is in-app purchases from where we can buy more lives when you run out of your initial ones (you're given five at the beginning). You can also purchase new episodes that offer you new levels as well as boosters to complete them. Some users have calculated that the game offers 97.7% of its content for free, while 2.3% has to be paid for. 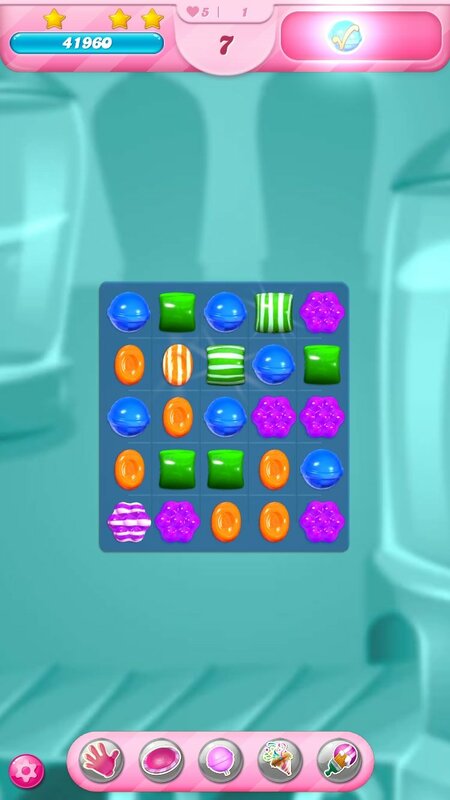 Which Candy Crush is the original one? 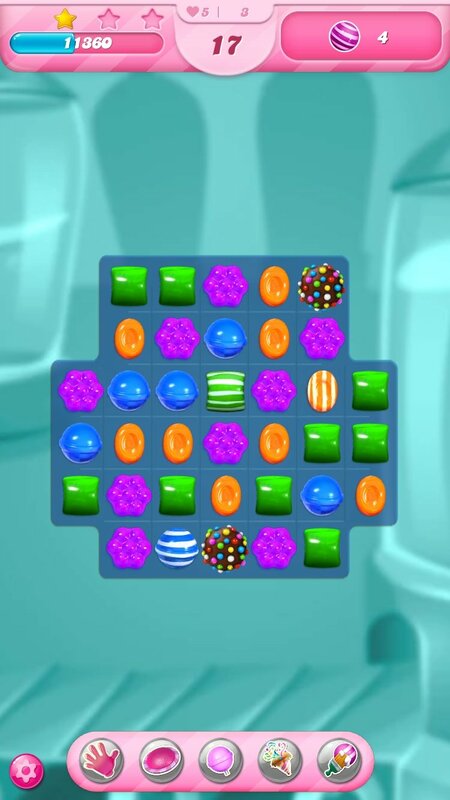 The original and true Candy Crush was the game of the same name developed for Facebook that later arrived on mobile platforms. Saga is a variation of the original title for browsers. Soda and Jelly are also other versions that have nothing to do with the original one. And if you were wondering how many levels it started off with... initially it only had a few dozens, but at present, it has over 2,000, a figure that's ever increasing. So now that you know, if you're into panel-based puzzle games in which you have to match 3 or more elements, this is the title to download... That's if you're not bored with receiving notifications or fed up viewing your friends' progress on Facebook. New and fun challenges and levels to be played with Tiffi.